Remember when we all thought the end was nigh upon hearing NBA jerseys would begin to carry corporate sponsorship patches? Well, I do. 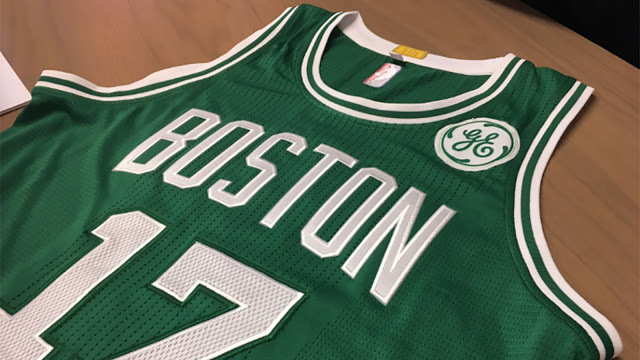 Fresh off the debacle of sleeved jerseys, a clear ploy to create more "wearable" uniforms for those of old enough to eschew rocking a sleeveless representation of our favorite teams on a typical day to purchase (which predictably flopped - those things were UG-LY), we got news that the league planned to inject revenue into the league by adding patches to uniforms on a team-by-team basis, with the Boston Celtics choosing to partner with General Electric. 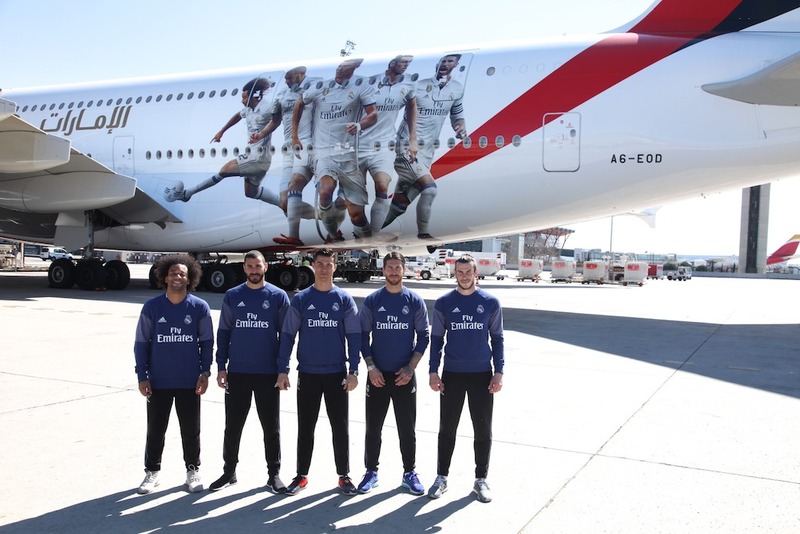 Visions of Celtics jerseys emblazoned with "Fly Emirates" triggered my gag reflex, and from what I saw on the interwebs, many of yours as well. To be fair, fans of "football" around the world (soccer to us heathens in the States, where the term refers to people trying their hardest to give each other brain damage on non-guaranteed contracts*) have had such arrangements for decades, with no evident impact on that sport's viewership. So far, the patches have indeed been a minor issue, barely visible to even an attentive eye. "There's been a couple of months now so that people can settle in with the idea of sponsorships on uniforms; do you consider it at this point to be a success, and do you see any further developments?" "I do consider these jersey sponsorships to be a success. It's interesting, when we first announced it, there was some predicting dire consequences for the league. I think, frankly, most people hardly notice it at this point [...], certainly [not] when they are in the arenas because unless you see the close-up television shot of the jerseys, it's not something that's all that noticeable." As I alluded to above, this is most certainly true. You can, if you have a mind to, see flashes here and there from non-close-up views from time to time. Those shots are usually timeouts, or free throws, or some such lull in action where you really have to work to notice them, which suits me just fine. 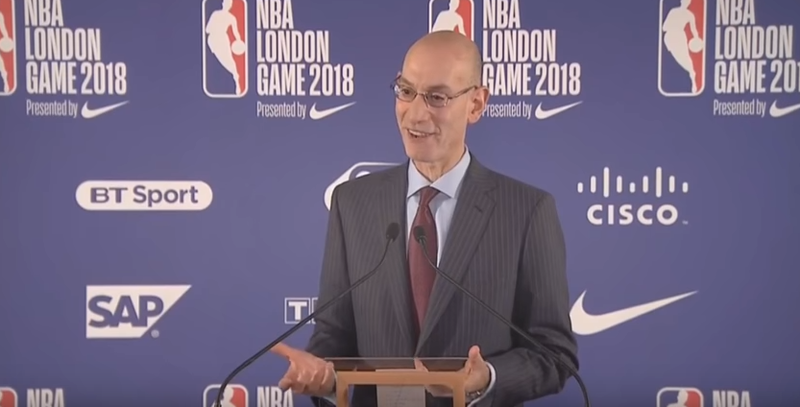 I will say it's had the desired impact in that roughly two-thirds of our teams now have partnerships with their jerseys, and we have over a dozen companies that have had no prior relationship with the NBA now engaged with our teams, and in addition to the revenue opportunities that it creates for the NBA and the opportunity for us to invest more in growing the sport, it means that those companies that weren't previously invested in the NBA are also invested in partnering with us in marketing the sport - so we think it's been very successful." I can't argue with that. As a Celtics and NBA fan in Mexico, the prospect of more overseas games in my backyard -and the potential expansion of the league to Seattle and Mexico City making the rounds around the NBA media depends on a robust balance sheet for the league, so I guess I will take back my initial trepidation and offer some contingent support. Around this time last year, buzz started building that the NBA was ready to consider expansion. Seattle, Louisville, Mexico City, Vancouver and Las Vegas were all rumored candidates. Seattle (Key Arena renovations) and Mexico City (NBAGL team) stepping forward in a big way. "[W]e'll see where it goes - my sense is that hopefully the third of NBA teams that don't have those partnerships now are also in various states of conversations with companies about potentially also doing similar deals." That income, while certainly a mere fraction of the surge of revenue that flowed into the league in 2016 via the renegotiated broadcasting rights deal with ESPN, TNT and other media outlets, still will be a useful hedge against issues like cord-cutting and developing the technology and infrastructure the league needs to remain competitive both domestically and internationally while also growing the sport at a moment when talent levels in foreign leagues is proceeding apace. For now it's a good option for young players who wish to avoid the farce that collegiate athletics have become in the US, but longer-term could create a drain on talent in much the way the American Basketball Association did in the past. Silver and company are doing an amazing job with not the just the league but the sport worldwide, a balancing act that makes the high drama unfolding in the NFL and NCAAs laughable, and the product of his stewardship has created a masterful example for other leagues to follow. If Roger Goodell is worth $200 million to the NFL, what is Adam Silver--who has guided rapid global growth, deftly handled CBA talks while earning the universal respect of the players--worth to the NBA? Many thanks to Josh for getting us this window into one of sport's greatest minds if but for a moment at this year's iteration of the Global Games held in London. If you haven't caught that contest yet, check out the recap here, and the highlights here. *This is hyperbole, of course - but not by much.